The video game publisher Electronic Arts is laying off 350 people in marketing, publishing, and other areas, the latest move in what’s been a brutal year for the gaming industry. 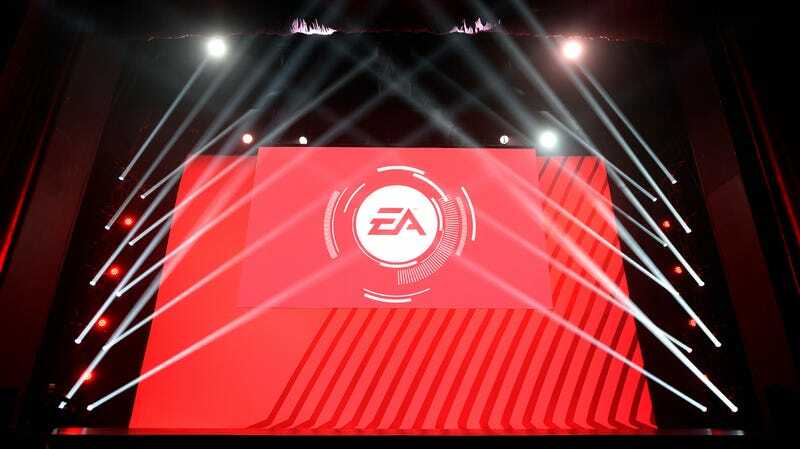 In an e-mail to employees obtained by Kotaku, EA boss Andrew Wilson said the goal would be to streamline decision-making in the marketing and publishing departments following a consolidation that began last year, improve customer support, and change some of its international strategies, a move that includes closing offices in Russia and Japan. “Across the company, teams are already taking action to ensure we are creating higher-quality games and live services, reaching more platforms with our content and subscriptions, improving our Frostbite tools, focusing our network and cloud gaming priorities, and closing the gap between us and our player communities,” he added. One person who works in one of the affected departments told Kotaku this morning that these layoffs had been expected for a while now, and that EA had put hiring and travel freezes on marketing for several months. People within marketing and publishing had been expecting a reorganization since at least October, the person said. “I think some people will be relieved to not be in limbo anymore,” they said. This news comes amidst a year full of massive layoffs at game companies, including Activision Blizzard and ArenaNet. Although the video game industry continues to grow, with the Entertainment Software Association touting ever-increasing revenue, it’s been a challenging 2019 for game developers and publishers. Correction: An earlier version of this article attributed an e-mail to EA marketing boss Chris Bruzzo—it was actually from EA CEO Andrew Wilson. We’ve also tweaked the headline to make it clear that these layoffs impacted more than the marketing and publishing departments. Additional reporting by Gita Jackson.